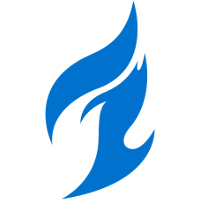 Dallas Fuel	 Dallas Fuel OWL Rank #8 uNKOE Benjamin Chevasson flex support NotE Lucas Meissner off tank aKm Dylan Bignet dps ZachaREEE Zachary Lombardo dps OGE Son Min-seok (손민석) tank Closer Jung Won-sik (정원식) support DPS player EFFECT	has announced his retirement from professional play -- primarily to take care of his mental health. His statement came out in a Facebook post and was later confirmed by Fuel owner and CEO hastr0. In his retirement post, EFFECT goes into detail about his struggles with depression and self-harm, and how he will transition from a professional player into a content creator doing YouTube content and livestreaming. An English translation is provided below and was done by 스윙칩 (Swingchip). EFFECT's history with the Fuel dates far back to the days of the OGN Apex Korean tournaments, where he joined the EnVyUs	 EnVyUs Inactive Mickie Pongphop Rattanasangchod off tank Taimou Timo Kettunen dps EFFECT Kim Hyeon (김현) dps cocco Christian Jonsson tank HarryHook Jonathan Tejedor support chipshajen Sebastian Widlund support roster in OGN Apex Season 3 to aid the team's trek to find success in another Apex season after winning the first season and placing in the top eight in the second season. Many were concerned with him not being a native English speaker, but he still proved himself as a force to be reckoned with in game, with his Tracer being the most standout of what he showcased during that tournament. At the time, mixed rosters with Korean players playing in English dominated rosters were not very common, despite Korea being famed for having an incredible wealth of talent at nearly every role. 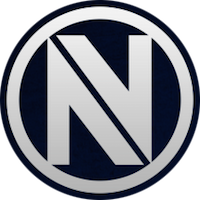 But for EnVyUs, they played well and finished their group undefeated, advancing to the playoffs. Their successes would soon turn sour, as they would eventually fall to Kongdoo Panthera	 Kongdoo Panthera Inactive Bdosin Choi Seung-tae (최승태) off tank birdring Kim Ji-hyuk (김지혁) dps Curious Lee Yeong-min dps Fissure Baek Chan-hyung (백찬형) tank Void Kang Jun-woo (강준우) tank wakawaka An Jee-ho (안지호) support in the semifinals and Afreeca Freecs	 Afreeca Freecs Inactive Tydolla Jung Seung-min (정승민) off tank attune Nam Ki-hoon (남기훈) YoungJIN Jin Yong-jin ArHaN Jeong Weon-hyeop (정원협) dps iDK Park Ho-jin (박호진) support Lucid Yoo Jun-seo (유준서) support in the bronze final to finish fourth in the tournament. That would be the last of the squad's ventures in Korea, and a start of a new chapter for EFFECT in North American competition. EnVyUs would enter Contenders Season One North America as one of the favorite teams to win it all, and they did just that, only dropping three maps overall in the regular season and finishing with a perfect 7-0 record. 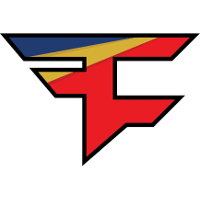 Their dominance would continue into the LAN playoffs, where they also didn't drop a single map in their semifinals match and grand finals match against FNRGFE	 FNRGFE Inactive buds Casey McIlwaine dps clockwork Matt Dias dps Boink Daniel Pence support Bani Chris Benell support and FaZe Clan	 FaZe Clan Inactive FCTFCTN Russell Campbell tank respectively. 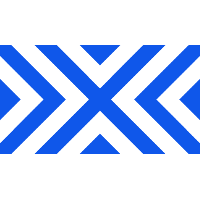 After their dominant run in Contenders, EFFECT and the EnVyUs core were announced as the roster for the Fuel roster that debuted in the inaugural season with xQc	and Custa	as new faces to an old roster. As the inaugural season progressed, a number of players (including ones from Dallas) would fall into trouble with the league, eventually being given disciplinary actions. As the season went on, the Fuel saw more controversy spill out into the public eye, garnering both positive and negative attention to the Fuel organization. The stress of a bad environment would eventually get the better of EFFECT, and eventually had him return to Korea for the rest of the entirety of Stage four of the Overwatch league. Around the same time that this was happening, the Fuel had just recently parted ways with Rascal	and KyKy	and looked to find a fresh start for the team in Aero	, who joined Dallas from top Contenders team Fusion University	 Fusion University Contenders NA Rank #1 Alarm Kim Kyeong-bo (김경보) flex support BERNAR Shin Se-won (신세원) off tank snillo Simon Ekström dps Na1st Lee Ho-sung (이호성) dps Beasthalo Adam Denton tank CarCar Carson First support . With EFFECT in Korea, this divided the histcan DPS role playtime between Taimou	and aKm	. 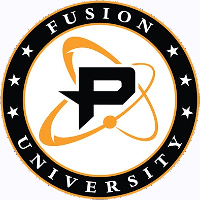 However, with Tracer still being a strong force to be reckoned with in the meta at the time, and the team's Tracer specialist abroad, the team had to think and play creatively to earn their wins. And as the tale of the tape goes, the Fuel did. They made it into the Stage 4 playoffs, edging out their Texas rivals by one map, and showing the world that turning around what was otherwise a disaster of a season was possible. Even though they were defeated by the New York Excelsior	 New York Excelsior OWL Rank #3 JJoNak Bang Sung-hyeon (방성현) flex support MekO Kim Tae Hong off tank Libero Kim Hye-sung (김혜성) dps Nenne Jeong Yeon-kwan dps Mano Kim Dong-gyu (김동규) tank ANAMO Jeong Tae-seong (정태성) support in five maps, many were optimistic about the future of the team going into the 2019 season. But EFFECT's return to the stage would not be like the season prior. 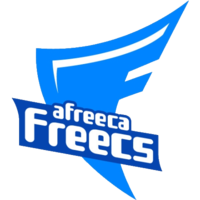 Coach Aero informed him that he would have to compete with aKm for a starting spot, and the addition of ZachaREEE	at the flex DPS role had many speculating who would end up starting in the hitscan DPS role. And despite most hitscan DPS players being relegated to playing Zarya for the majority of Stage 1, EFFECT had the talent to start even in a tank-heavy meta. 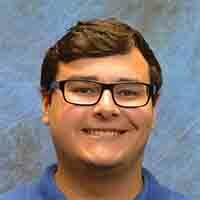 However, he only made appearances in four matches, playing eight out of the sixteen maps in said matches. In those eight maps, he had a 1-7 record compared to aKm's 6-4 map record in those same four matches. Eventually, aKm would be awarded the starting role over EFFECT for the rest of the stage, but that would not be enough to get the Fuel into the stage playoffs. 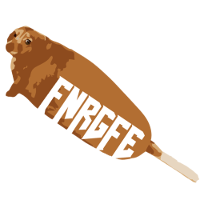 EFFECT's departure from the team leaves Taimou, Mickie	, and HarryHook	as the only players still playing for the Fuel since the EnVyUs core that competed in OGN APEX. The Fuel's next match is in week two of play against the Toronto Defiant	 Toronto Defiant OWL Rank #13 envy Lee Kang-jae (이강재) off tank Neko Park Se-hyeon (박세현) flex support Ivy Lee Seung-Hyun dps im37 Hong Jin (홍진의) dps Yakpung Jo Gyeong-mu tank RoKy Park Joo-seong (박주성) support . actually he always was a korean version of dafran, but more toxic. ready for downvotes by the mad fans. Facts require you to have all the information available to make an educated and informed argument. That just now...wasn't it. But keep telling yourself that it was mate. hold on, I'm gonna revive all the vods. Ive ran into Dafran in 2016 s2 and he used to be way different. Lets just say what he is now is for the better.